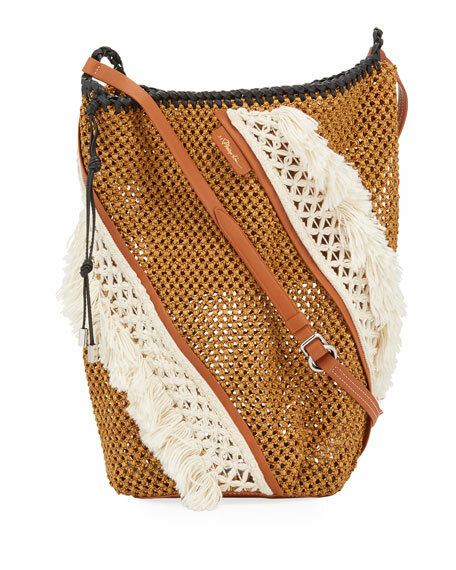 Danse Lente "Lorna" colorblock leather hobo bag. 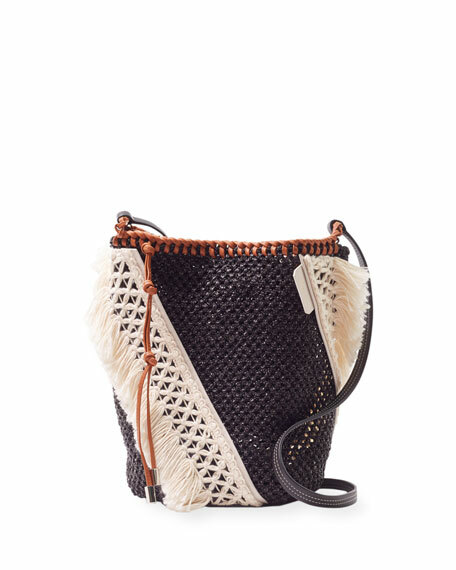 11"H x 7.9"W x 8.6"D.
3.1 Phillip Lim "Marlee" woven macrame and leather hobo bag. 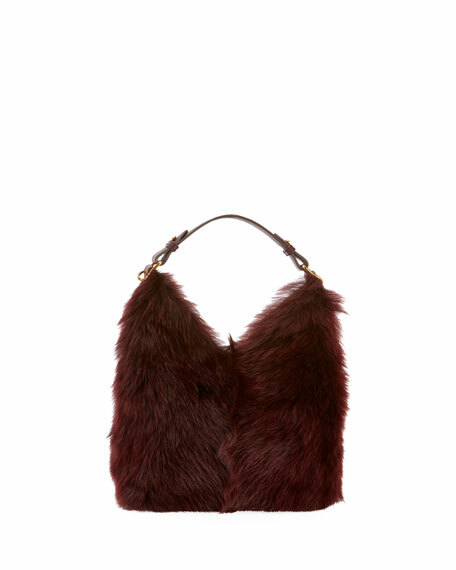 Adjustable flat shoulder strap, 17" drop. 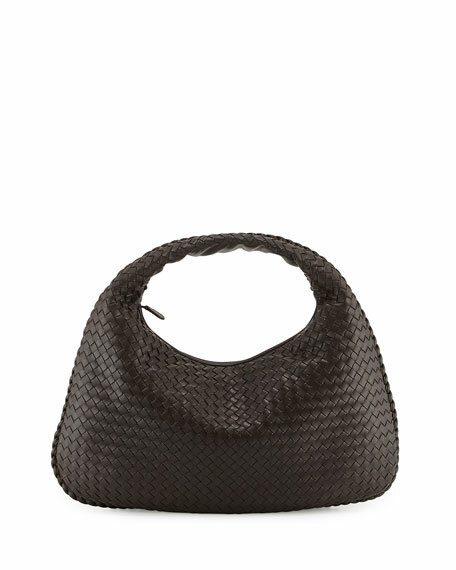 Open top with tie closure. Exterior, fringed detail; whipstitched trim. Unlined interior, leather base. One slip pocket. 13"H x 12"W x 5"D.